Finally, it is time for Marc Marquez and the Repsol Honda Team RC213V to get back out on track, a goal the seven-time world champion has been pushing hard for all winter. For reigning MotoGP World Champion Marc Marquez, the Sepang Test represents a milestone in his recovery from shoulder surgery. “There are days when he is very patient, especially in the first phase of the recovery process. Then, little by little, when the sling came off he was more anxious. ‘I’ve had the sling removed, I can do it!’ and I would tell him ‘No, you can’t do it, do not move your shoulder.’ There it was necessary to stop him a little bit because if it were up to him, on January 7th he would have been on a bike. He only wants to be on a bike!” explained Carlos, the physiotherapist who has worked exclusively with Marquez since December. “There were orders for all the bikes to be dismantled. When we went to the gym and we passed by some bikes and he climbed onto one, assumed the riding position and made noises as if he were on track. 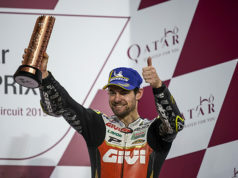 That’s how much he wants to get on a bike again,” Carlos said as he continued to work on Marquez. “Don’t say that! They will say: ‘This guy is crazy!’” beamed Marquez as his shoulder was again pushed to the limit of its current mobility. “Until I get on the MotoGP bike, I won’t know what shape I’m in. I am aware that it will be quality over quantity in terms of the amount of laps I do. More than anything, that’s to avoid causing tendonitis or similar. I am also aware that if in the test I can’t put in the laps that I would like, it is only a test. We will all leave Malaysia with zero points. 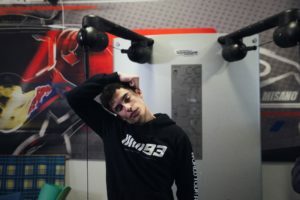 I have to be prudent and not throw away the hours I’ve spent recovering, the two months I’ve been recovering and been patient,” said Marquez as moved from the physio table to the gym next door. It will not only allow Marquez and the Repsol Honda Team to assess the 2019 RC213V, but also evaluate the condition and progress of his left shoulder. 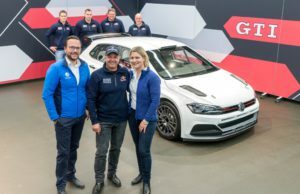 Official Test Rider Stefan Bradl will take to the second Repsol Honda Team RC213V as Jorge Lorenzo continues to recover from a broken scaphoid in his left hand. 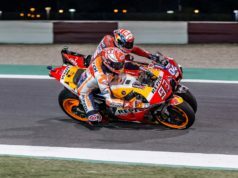 The Repsol Honda Team then travel to Qatar for the final pre-season test on February 23 – 25 where Marc Marquez will be joined again by Jorge Lorenzo.